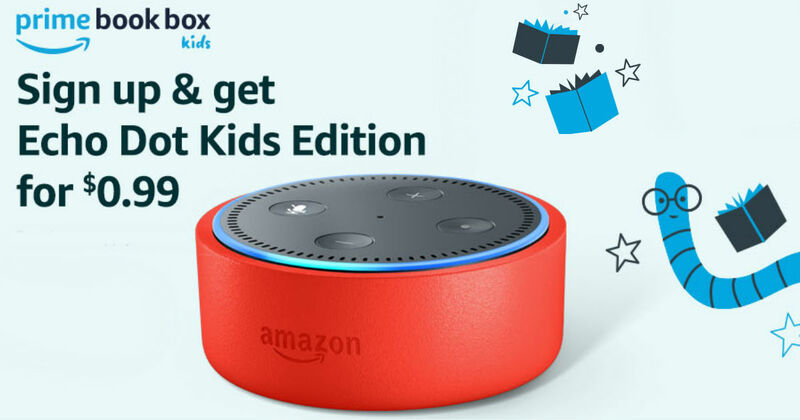 Score an Echo Dot Kids device for ONLY $0.99 when you purchase a Prime book Box! Echo Dot kids is on sale for $35 -but it's regularly $69.99! Plus you'll also get a year of FreeTime Unlimited. The Echo dot is a fun and educational device for kids of any age! The Prime Book Box is $19.99 and you'll get 2 hardcover children's books for 40% off. You can choose to have books delivered every 1,2 or 3 months and you can cancel at any time! This is an Amazing deal. When it's all said and done you'll have paid $20.99 for 2 hard cover books, Echo Dot Kids Device and FreeTime Unlimited for a year!